With A&E’s Bates Motel currently stabbing into its 5th season (the show airs Monday nights at 10pm ET/PT), we had the chance to connect with the brains behind the Psycho-as-soap-opera thriller, Emmy award-winning showrunner Kerry Ehrin (Friday Night Lights, The Wonder Years) and discuss the history of the show, its future, its smashingly-talented cast and its visionary take on the house that Robert Bloch and Alfred Hitchcock built. CS: You have said in previous interviews that you are a huge fan of Twin Peaks and that it was a major influence on yourself and Cartlon Cuse (co-creator and co-writer) when you were writing and creating Bates Motel. What other influences did you have for the design of the series? Kerry Ehrin: That’s such an interesting question, (long pause), (laughing). It’s a huge question so I am trying to structure a lot of things. When we first sat down we talked about Twin Peaks, we talked (laughing) obviously about Psycho! A huge influence to say the least. Personally for me there was a desire for a sort of Gothic element to the relationship of Norma and Norman that I think came from my love of Wuthering Heights, which is about two people who have a larger than life co-dependent “love” for lack of a better word, because their relationship is pretty dark. Also, there is a healthy dose of Who’s Afraid of Virginia Woolf? which is a fantastic play about again, a very co-dependent relationship. Its very abusive, but also so close. They are so close even though they are kind of awful to each other. There is a whole fantasy element to their relationship that they manipulate each other with. So the idea of having a relationship that on one level, is just a normal mother/son but that then have all these psychological layers to it that they understood intrinsically but were never spoken out loud, was super interesting. So that also influenced it. CS: So you were saying that you were a huge fan of Psycho, which is obviously apparent. Have you gotten any feedback on the show from the Hitchcock estate or from the estate of Psycho writer Robert Bloch? Ehrin: No, I actually have not spoken to them once (laughing). Ehrin: (laughing) So I don’t have anything good for that one. CS: Interesting. Okay, well Robert Bloch’s version of Norman was a sort of fat, middle-aged, balding man, while Hitchcock’s is clearly more along the line of someone who looks like say Freddie Highmore. What was it like casting that character? Casting Norman must have been a huge undertaking because it is SUCH an iconic character. What kinds of things did you have to factor in when looking to find the perfect actor for that role? Ehrin: Well the answer is two-fold. First just to comment on the character in the Robert Bloch novel, I don’t know if you know this, but it is actually based on Ed Gein. Who was also the basis for the guy in The Silence of the Lambs (and Leatherface in The Texas Chain saw Massacre – Ed). Ehrin: Yes, but there is also clearly a very sad aspect to him which is obviously why, well, he is a serial killer. I believe he killed two people, but mostly aside from that, he was a grave robber. He was super complicated, messed up but obviously he inspired some great fiction… which is unfortunate (laughing). But Hitchcock knew he was making a movie and wanted people to show up so he cast Anthony Perkins. So when we sat down to cast him, well… this is the fascinating story… we didn’t do anything (laughing). April Webster, who is our brilliant casting director, brought us Freddie. He was the 1st person she had us meet and we couldn’t even meet in person because he was in London, so we Skyped. We had an amazing Skype with him and when we got off Skype we thought, “god he’s just great! He’s so smart and he’s charming and he is great,” but we thought we still, ya know, had to see other people. We have to do our due diligence and see the other people, but we just never found anyone else that fit it like Freddie does. That is our amazing casting story is that he was the first person we saw and we pretty much fell in love with him. CS: That is a great testament to the hard work and talent of your casting direct April Webster! Ehrin: She is a genius, really really gifted. CS: So you and Carlton have written the show since its inception and this season Freddie wrote an episode, a great episode in fact. What was it like having him write with you and what do you think he brought to the table having his vantage point of experience on the show as Norman. Ehrin: Well Freddie and I have written together once before. We wrote a pilot last year, we did a comedy, so I know what he’s like to write with. He is very talented, hes a great mind and hes very smart. He has always, from the beginning of Bates, he lives inside the universe of the show in very much the same way I do which is pretty 24/7. We always have talked a lot, and gone through points about scripts, talked about how to do a scene, all kinds of things like that. I would have to say when he gives a note, and he really does, but when he does he is always right. Which is pretty rare! (laughing). He’s got a very keen mind. When he said he was interested in writing a script and being in the room and to be involved in that side of the show, I was very excited. I have a great creative shared sensibility with him so that was great for me certainly and the writers love him and Carlton loves him so it was really a great experience. 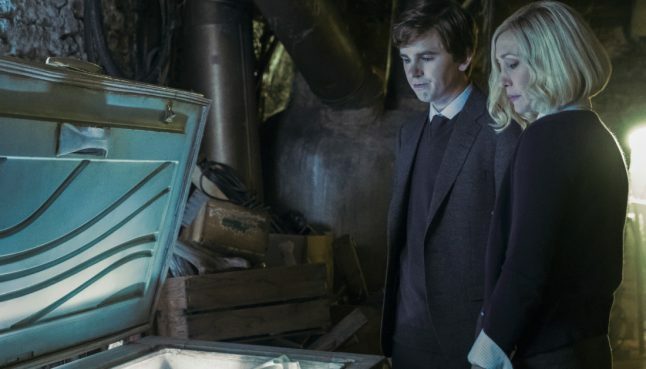 Because he does live so inside the show and so inside the character, he obviously understands every single nook and cranny of Norman Bates and it makes for a really fun addition to the room. Along with just being really good with story in general it’s not like its all Norman-centric. He just has a good mind for story. He’s very literary. CS: I am sure you are familiar with shows like Breaking Bad and from that a spin-off was launched called Better Call Saul, which was launched upon the conclusion of the series. Then we have The Walking Dead, which launched Fear the Walking Dead recently as a companion show due to The Walking Dead still airing and not being finished. SO, would you guys consider a continuation, a spin off, a TV movie like Psycho IV: The Beginning that Mick Garris did or a feature length film? Ehrin: That depends on the situation, the idea and the point of it. Both Carlton and I get excited by specific ideas that have a real point and a meaning to them. Because I love the show that we are doing and it so encapsulates the story as there is a CLEAR beginning and CLEAR end. So I am not quite sure how you would do a sequel to that. You know what I’m saying? CS: I completely understand and it’s a good thing to me because when a series is so good but gets drawn out past its conclusion, like beating a dead horse. So for this show, from the way I see it, it seems like this show was designed from the very beginning and was written to have a total arc and paced it out to be a five-season series, and no more. So its not like you guys are writing on the fly, right? Ehrin: Well I mean we are in some senses. So we have “tentpoles,” we have tentpoles with senses of we want this event in this season, things like that, but we will work on what it will take to get there. You know, all that plate spinning that you do in the writing. You know we have a wonderful writers rooms… umm… can I like… can I shout out to my writers? CS: Absolutely, yes!! I say shout out to the writers to your hearts content! Ehrin: (Laughing) okay so Tom Szentgyorgyi, Steve Kornacki, Alyson Evans, Scott Kosar, Erica Lipez, Philip Buiser and Torrey Speer. We just spend everyday in the room doing this and trying to figure out everything. I spend a lot of time in the writers room because it’s the part of the job I love so much and I can’t, well I am a writer, and I started as a writer, I can’t divorce myself from it. I just need to be in there to be part of that process, because that is where I get connected to everything emotionally and you kind of get connected to the show and what it’s going to be and how you guide it that way and connect to and what it is. Yeah, that’s what we do. So, we talk through this all day and laugh a lot too. CS: Laughing is important, especially when your subject matter is so dark and you storylines are so dark and season 4 was actually pretty funny and pretty romantic is an odd way, especially for a show like that. Do you think that kind of levity is needed to offset the darkness and the tragedy that the show brings for the viewers? CS: I love your writing on the show, but I also love a piece you wrote for the LA Times. In this article you said that those close to you have said that they hear your voice in Norma, and there are some obvious parallels. You go on to say that you had tight maternal binds and are both single mothers. How much of you do you put in Norma when writing her? Ehrin: I would say… 100%. Honestly it’s true. It’s just, that’s how I write. I don’t write it through a lens. It’s almost like, I had someone describe it to me as “method writing.” I get really inside of it and the people I am writing and I move around in their bodies. So Norma is hugely, hugely drawn out of parts of me. I am sure that is true of all writers. I mean characters are just parts of us and we pull out different aspects of ourselves. You pull out a part of yourself and you combine it with… your uncle (laughing). (Laughing) it’s like… it’s like character cocktails (laughing). At the end of the day I feel everything that I put on paper. I do not ever keep it an arms distance, I literally feel it and that’s why the shows very exhausting to write (laughing). CS: Wow, I can completely understand that. Is it in any way cathartic to see it played out by Vera? Ehrin: Yeah, it is. There is a huge catharsis in expressing yourself on paper by itself. Then there is the added joy and gift of seeing it come to life and be elevated and illuminated by brilliant actors is, ya know, it’s a little piece of heaven. But I feel incredibly lucky to be able to work with them. CS: Yeah, your cast is the strongest cast I personally have ever seen, to be very honest. I am not just saying that because I am speaking to you, it’s to me, the strongest show I have ever seen. Ehrin: They are amazing and they carry so much of it. They carry so much of it in their performance and in their skill. The show is about a two-person relationship and it takes a lot to do that without it getting repetitive. They are constantly changing it up and it’s deeply psychological and I am just so in awe of the work that they do and I am so proud of them. CS: They are amazing. Now I am not sure if you can or will answer this so feel free not to, but some of the characters that have been cast are in sort of newer or a secondary sense, and they are incredible. Actors like Damon Gupton, who is amazing. CS: And Kenny Johnston, amazing! CS: Now they have all sort of trailed off, with the exception of Chick (Ryan Hurst) who came back with chicken enchiladas at the end of season four. How will they play into season 5 or will they play into season 5? Ehrin: They do! They actually all have very large large important places in season 5. Kenny and Ryan definitely at this point are very present. CS: Season 4 had a lot of those sort of “nudge nudge, wink wink” things to Psycho, especially towards the end of the season. Things like the peephole and even in the score, there is much more strings. I feel that it means that we are making a fluid movement that direction. Ehrin: Yeah well the plan is to, how do I say this, the final season is not going to be Psycho, it is not going to be a retelling of Psycho, but it is going to travel through Psycho. By that I mean we are going to see certain things from the film, certain characters and scenes, but you are also going to see things you did not see in the movie. You are going to see things that were off screen. 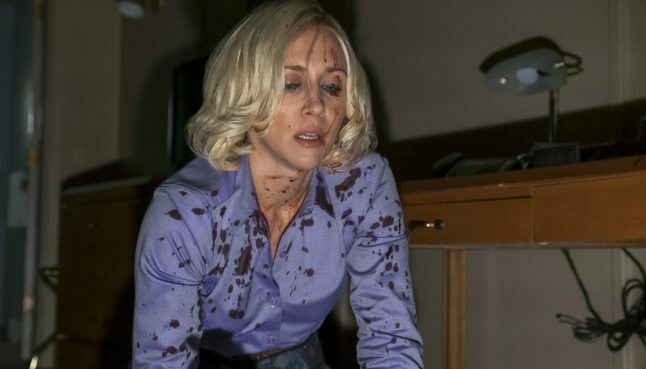 Obviously while making it our own and true to Bates Motel. 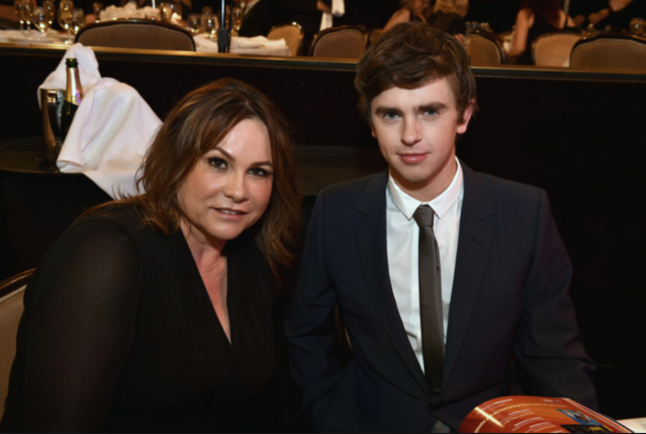 It’s like a collision of Bates Motel and Psycho. We are really excited and it’s going to be an incredibly fun and wild season.